With these few information now, i believe you can now see reasons why your site is not approved of Google Adsense and not the blogspot or blogger platform where the site is powered. 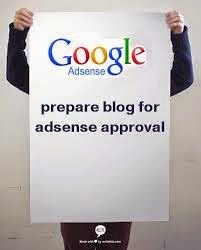 Even some self hosted site may not be given Adsense easily. Thanks for reading. Thanks for providing this eyes opening information.I will start using blogspot for my adsense sites and drive traffic to them. I will make sure I follow their rules and regulations to avoid been banned.